Recently Ucom and iBolit.mobi have jointly announced about equipment repair service provision on a paid basis. 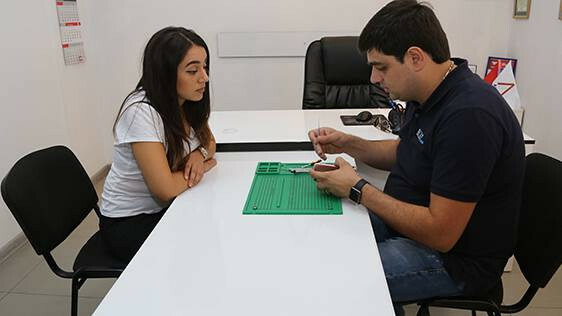 From now on, anyone can repair a mobile phone, laptop or internet modem in all Ucom sales and service centers or any spot, one picks within Yerevan. “It is the 4th time that I’ve damaged my phone screen and called iBolit.mobi with the same issue. They granted me a considerable discount for the third and fourth cases, which is truly satisfying. I am also satisfied with the work of professionals along with the existing warranty,” says customer Alisa Sahakyan. Masters, who have undergone compulsory training and obtained a relevant certification, approach the place most suitable to the customer within Yerevan to eliminate the problem in his or her presence within 15-60 minutes. All spare parts used for repair are of high quality and have a 6-month warranty. “iBolit.mobi’s team does its best to provide quality services. Our innovative approach is the only one in Armenia, that lets customers instantly solve their issues in their presence. The cooperation with Ucom allows solving the equipment repair tasks not only in Yerevan, but also in regions”, - says Gevord Yeghiazaryan, founder of iBolit.mobi. “Ucom is the official sales representative for many phones in Armenia. Those phones, purchased from our sales and service centers have one year warranty. Now we are happy, that our customers won’t experience any problems, related to the repair of broken screen, spoilt battery or internet-modem”, - says Karen Shaboyan, Sales Director at Ucom. Service charge depends on the issue type. To place an order, one should call 011 40 01 01 or fill in an online-request on http://www.imobi.am/am.